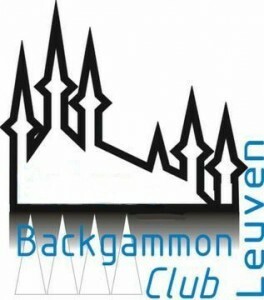 More info: Backgammon Club Leuven. For the first time, there will also be a youth tournament, the 1st Junior Cup. Free entry and prizes for all participants under 18 years! Please register in advance: Johan Segers, bgleuven@gmail.com, +32 (0)494 294460. Your registration is confirmed by paying the registration fee: 15 euro if not later than October 26 or 17 euro afterwards. Lunch included. This entry was posted in Announcements and tagged Leuven Open. Bookmark the permalink. Congratulations to Michel Lamote for winning the Leuven Open for the second year in a row! Congratulations also to Jolien De Wilde, for getting gold in the 1st Leuven Junior Cup! Results, report, and pictures.